In the middle of the charming village of Waidring there is a charming first floor apartment. The spacious living/bedroom is provided with a complete kitchen, seating area/sofa bed and a double bed is separated by a curtain. This apartment is in a truly central location located among the restaurants, shops and (ski)bus stop, so you can leave your car parked for your entire holiday. The Pillerseetal is known for its various lakes and many walking options. In Waidring there is a small bathing lake where you can swim. The larger lake in nearby St. Ulrich am Pillersee is much more well known and there are many water sports options there. 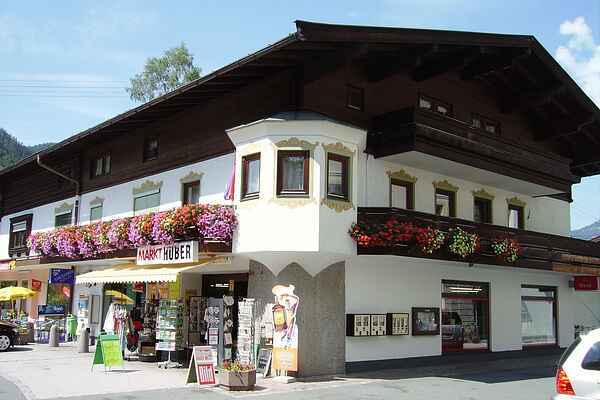 The well-known and guaranteed snow ski paradise of “Steinplatte”, with many slopes and as Snop Park, is easily accessible by the modern lift right from the village, and there are many kilometers of Nordic ski tracks only five minutes away. Waidring is a top location in the winter as well!